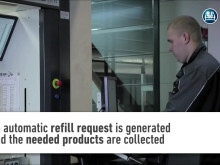 If you want to find out about quality in the spare parts service, ask the professionals. Every two years, the editors of the professional journal “PROFI Werkstatt” ask their readers to rate the quality of the most important products and services. 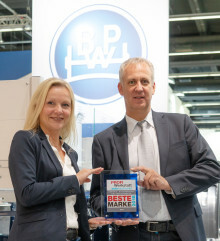 BPW has become the frontrunner in a key discipline - and is announcing the next service innovations in time for the Automechanika and IAA trade fairs. BPW and PE Automotive will be exhibiting in Hall 5, Stand A 50. 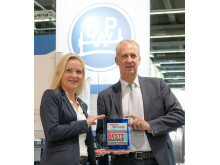 Dirk Hoffmeister, Head of Aftermarket, and Katrin Köster, Head of Corporate Communications at BPW, are pleased about the award. The BPW Aftermarket Group offers commercial vehicle garages a mobile spare parts warehouse with up to 2,000 parts directly on site.